Welcome and thanks for visiting our BROMSGROVEGYMNASTICSCLUB website. We hope you find this website informative and helpful! BROMSGROVEGYMNASTICSCLUB opened September 2009 due to popular demand as there was lack of gymnastics being delivered across the Bromsgrove District. A huge demand for gymnastics was coming from several local schools in the area as they were provided after school clubs and curriculum based activities. Each term now different coaches within the club visit local schools during school time and after school clubs and community sessions. With the afterschool clubs and community sessions we work towards the British Gymnastics Proficiency Award Scheme badges, as we do with all Bromsgrove gymnastics club members. BROMSGROVEGYMNASTICSCLUB has been given by British Gymnastics Accreditation Gym Mark identifying that the club is safe, Effective and Child Friendly. 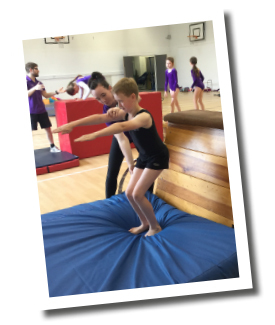 We encourage children to develop their gymnastics ability in a safe, friendly and fun environment. While developing the gymnastics skills through balance, co-ordination, endurance, flexibility and building confidence. We are registered with the National Governing Body – British Gymnastics and affiliated to West Midlands Amateur Gymnastics Association. Please have a look on our Facebook page for regular updates & events/holiday camps within our club!